Cute Bunny Jewelry: Perfect Easter Gift for Girly Girls! 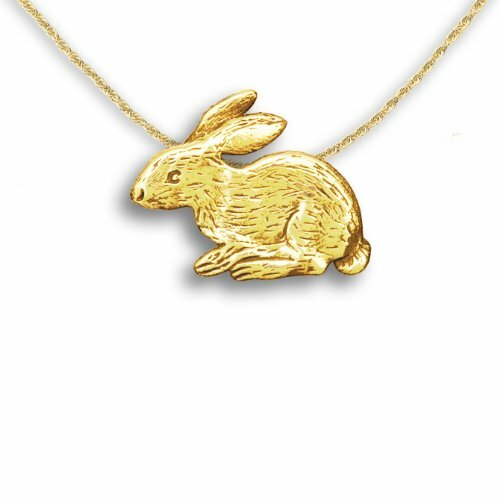 *This is a stunning and very fancy full of details 14K yellow gold bunny pin that can also be used as a pendant on a gold chain! I also found the cutest bunny necklaces, earrings, bracelets and rings! I also had to show you this gorgeous and very unique gold rabbit pin pendant! He is about 1 inch wide and 3/4″ tall. Very Cute Hand Made Blue Bunny Necklace! 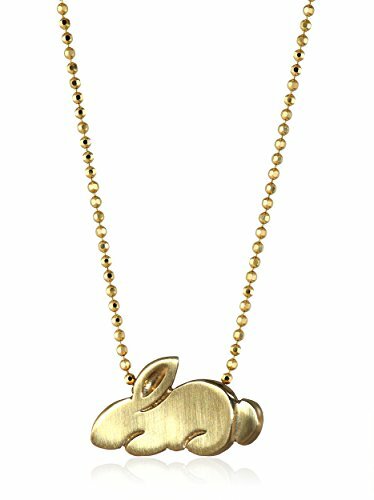 This is one of the cutest bunny necklaces around! 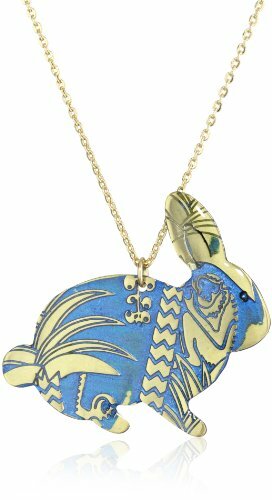 It is a large and adorable blue bunny necklace! 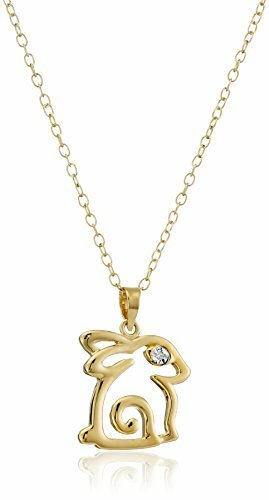 It will definitely stand out on your neck ladies! I love his fun design! 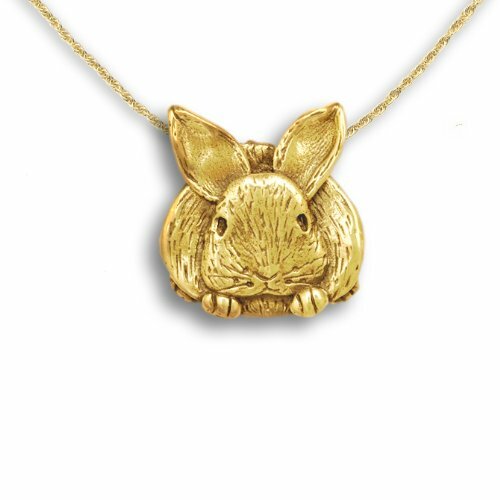 This is a cute and adorable also handmade yellow gold bunny rabbit pendant necklace by Alex Woo! This is a fun and absolutely adorable (and very affordable!) bunny necklace with a sparkly diamond accent on the bunny eye! 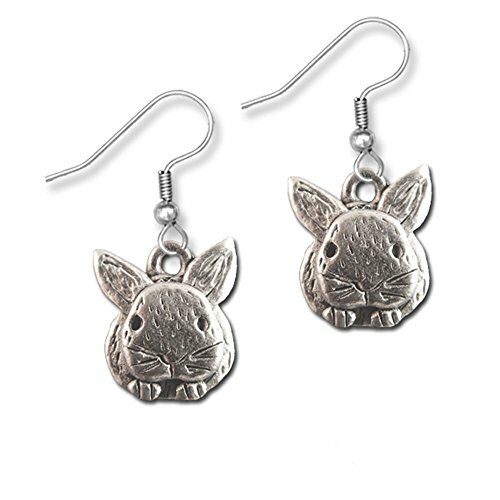 Adorable Mini Bunny Rabbit Earrings! 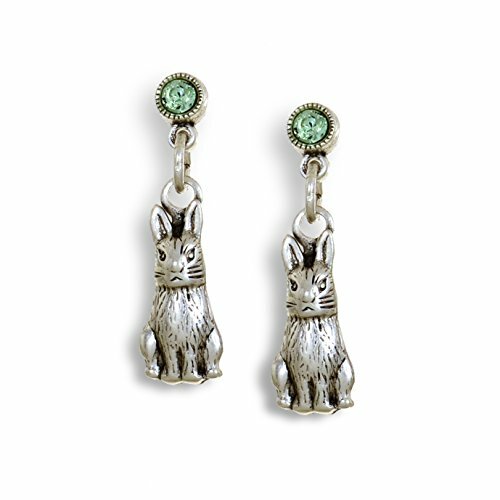 How beyond adorable is this pair of handcrafted bunny earrings for sale? Perfect fun jewelry gift for a bunny lover! 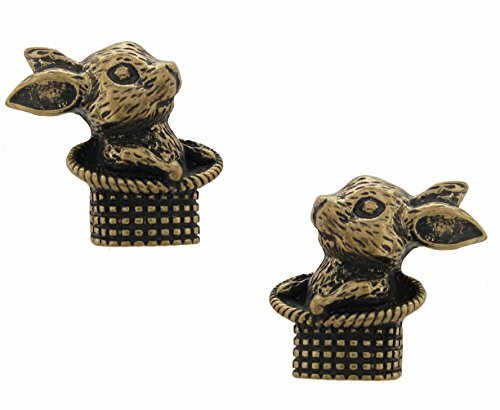 Fun and Unique Pewter Rabbit Earrings! These are my favorite cute bunny rabbit earrings! They are very unique and handcrafted down to the smallest details! The ear wires are made using surgical steel. Cute Magic Bunny Rabbit Earrings! As you can see they are popping out of hats! 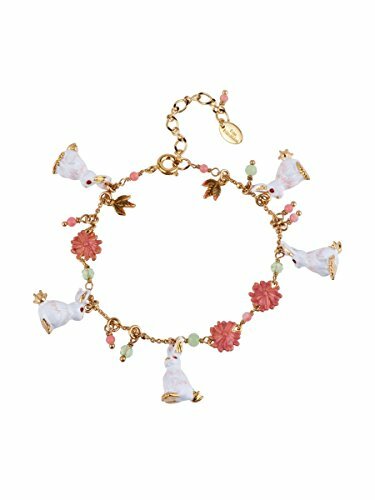 It is not easy to find bunny bracelets that have several cute bunnies together and when I saw this one I went crazy! Will make a lovely gift for teen girls who love rabbits! 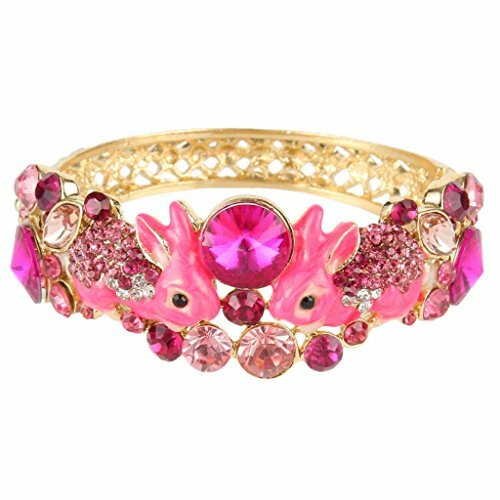 If you are looking for a cute and fun bunny rabbit bracelet for your tween girl, I think you are going to love this one! Two pink bunnies are among gorgeous sparkly pink crystals! Look what I found now fellow bunny lovers! 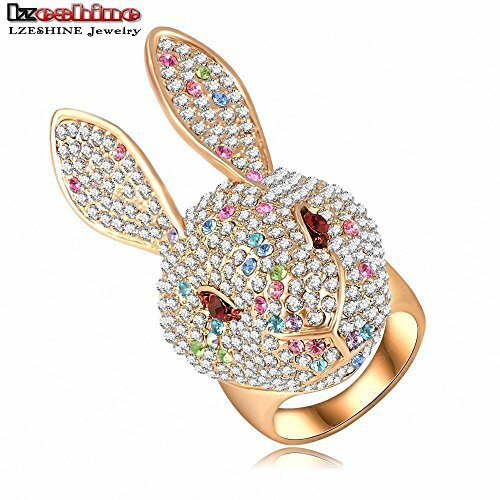 A cute, fun, creative and very unique sparkly red eye bunny rabbit ring full of colorful Austrian crystals! Will stand out on the finger from a distance! Fun Sterling Silver 3D Bunny Rabbit Ring! 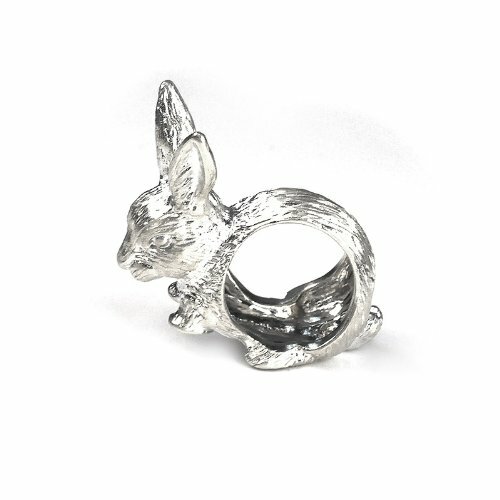 What a gorgeous and ultra-cool sterling silver 3D bunny ring! *I hope you enjoyed my selections of cute bunny jewelry from this page and were able to choose a fun piece for yourself or your girly girl!